Do Tax Revenue Increases Signal Consumer Optimism, Economic Recovery? Let’s hope the trend continues. According to a press release Monday, January tax revenues were $79.9 million, which is 19.5 percent above last year and $23.9 million or 5.1 percent above the estimate. A nearly 20 percent increase over last year and seven straight months of revenue increases are good signs for sure, but Gov. Mary Fallin was quick to indicate it’s probably not going to affect her calls for what she calls “right-sizing” government. This is good news for our state but we need to continue to find ways to streamline operations and make government more efficient and more effective, regardless of the revenue picture. We also need to continue our focus on job creation and growing our economy so we can continue to bring more opportunities here for working Oklahomans and bolster state revenues. 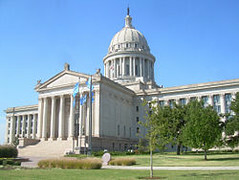 Fallin called for 3 percent cuts to education and social services and 5 percent cuts for other agencies in her recent State of the State address. Many agency officials and advocates expressed relief that the cuts in the Governor’s budget were less than feared. But two notes of caution are in order. First, it is uncertain whether Governor Fallin’s key revenue-generating ideas will gain legislative approval or whether the anticipated savings from “government modernization” will fully materialize. Without these measures, cuts would have to be even deeper than those the Governor recommends. (On the other hand, the budget does leave $100 million unspent, which can be used to plug holes. In addition, if the revised certification to be presented later this month to the Board of Equalization projects stronger revenue collections over the next 17 months than December’s initial estimates, the budget gap will not be as sizable). Secondly, even with these optimistic assumptions about savings and new revenues, the impact of the cuts in the Governor’s budget remain extremely worrisome. With a few exceptions, most agencies are facing FY ’12 funding that is 15 to 25 percent below their budgets for FY ’09. The ability of these agencies to fulfill their basic functions – whether that is protecting the public health from disaster and disease, dispensing justice in a timely fashion, or conducting inspections and issuing licenses – has already been critically corroded by successive rounds of cuts. Even those core agencies that are partially protected will see their funding reduced in FY ’12, despite, rising operating costs and caseloads, which means the ongoing potential for serious damage to public programs. I’ll make these points: (1) If increased tax revenues could reduce next fiscal year’s budget shortfall, will Fallin and the Republican-dominated legislature reduce the size of the cuts or are they, at this point, ideologically wedded to across-the-board cuts because of the current political milieu here? (2) Those of us who have lived here a long time know that economic downturns make the state play a constant game of catch-up when it comes to just near average (or even less) government funding on a per capita basis when compared to other states. This is especially true for education. Don’t let the Republicans fool you this year. Oklahoma government has been cut to the bone here. A broad swath of our population-from schoolchildren to people with mental health problems-are suffering the consequences.